Alex Tucker counsels clients on a wide range of intellectual property matters, including the preparation and prosecution of patent applications, IP transactions and licensing, and portfolio analysis and management. He also prepares infringement, patentability, invalidity and freedom-to-operate opinions, and provides litigation support for complex technical disputes. Working with numerous technologies, such as semiconductor devices and fabrication, computer hardware and software, wireless communications and standards, medical devices, nanotechnology, consumer electronics, chemical technologies and data processing systems, Alex represents clients across an industry spectrum that includes computing, financial services, healthcare and telecommunications. Alex’s previous experience includes serving as a patent associate for a global law firm, where he drafted and prosecuted patent applications for Fortune 100 companies. Alex also served as a patent examiner for the US Patent and Trademark Office, where he advised practitioners regarding strategies for overcoming 101 (Alice) rejections. 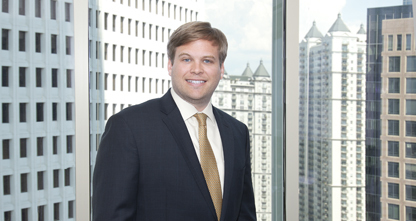 Prior to practicing law, Alex worked as a process engineer for Shaw Energy & Chemicals.